The MSc Marine Technology is an innovative flexible training course designed to provide the marine industry within the UK with graduates who have the necessary skills and training in advanced technologies, management, business and IT. You will be able to provide the necessary leadership and vision to maintain and enhance the industry’s knowledge base and improve competitiveness. Please note that this degree is awarded by Newcastle University. The MSc Marine Technology course is run by a consortium of four UK universities recognised for their excellence in marine technology education and research: Newcastle, Strathclyde, Southampton and University College London. Normally all students are in full-time, marine-sectored employment. The course will provide you with advanced technical and managerial techniques that can be applied in the marine industry and enable you to take on major responsibility early in your career. Please note that this degree is awarded by Newcastle University. There are eight streams: Classification and Survey; Conversion and Repair; Defence; General stream; Marine Engineering; Naval Architecture; Offshore Marine Renewable Engineering; and Small Craft Design. The MTEC course has been approved for Panasonic Trust Awards. 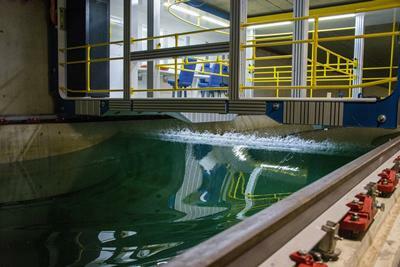 The Marine Technology Education Consortium (MTEC), is a collaboration between five UK universities recognised for their excellence in marine technology education and research: Newcastle, Strathclyde, Southampton and University College London. 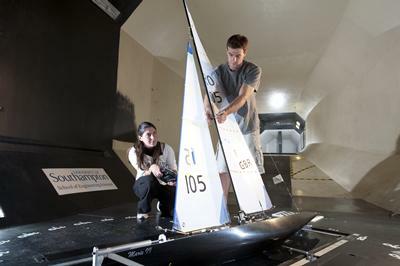 A second class Bachelor Honours Degree in Marine Technology or a relevent engineering subject. Applicants whose first language is not English require IELTS 6.5, TOEFL 90 (Internet-based), or an equivalent standard in other qualifications approved by the University. The course is delivered as a part-time modular programme, MSc students complete ten modules and a research project. PG Diploma students complete eight modules and a research project. PG Certificate students complete six modules. The full list of modules is available at the MTEC website (www.mtec.ac.uk). Modules are also offered as stand-alone CPD (approved by the Institute of Marine Engineers and the Royal Institution of Naval Architects), which may be suitable for those requiring specific subject training. Teaching is delivered by a combination of distance-learning material and one-week intensive schools, with pre-school preparation and post-school assignments for modules, each of which has a credit rating of 10 points and requires 100 hours study time. Knowledge and understanding are generally taught via formal lectures and distance learning material, supplemented by seminars and tutorials. Students are encouraged to develop their knowledge and understanding by independent reading for which they are given guidance in the distance learning material. The use of design exercises during the intensive school, and work based assessments and application after the intensive school, also enable the student to learn. Knowledge and understanding are also achieved via a significant multi disciplinary industrial project. Candidates wishing to obtain an MSc carry out a research project finishing with a dissertation. Research projects may concern any of the areas covered by the programme, but will address a problem or issue related to the student's organisation and be multi-disciplinary in nature to allow the application of a wide range of skills and knowledge. 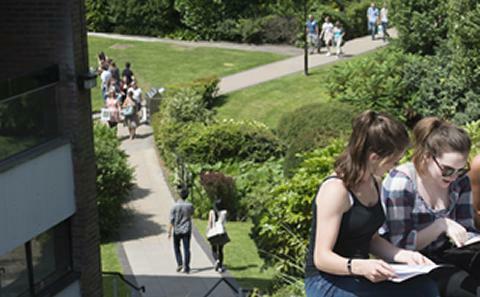 The research project is intended to bring together the full range of skills in the programme and to provide you with an opportunity to build on all of the learning outcomes described above, while demonstrating in-depth knowledge and understanding of one or more of the areas covered by the programme. It involves information gathering and handling, critical analysis and evaluation, and presentation skills. The key requirement, however, is that the project must contain your own ideas and proposals: it should not simply be a technical design carried out to existing standards, but a problem with an element of novelty requiring the application of new information and concepts. Testing of the knowledge base and skills (intellectual, practical, transferable) is assessed through a combination of unseen written examinations, course assignments, performance in design exercises, and the industrial project.